Evadney views music as a pathway to exploration. Based in Brighton, his work sluices together stark electronics, devastating R&B songwriting, and a future-focussed mindset that incorporates aspects of groundbreaking visual art. New EP ‘Sold Love, Sold’ is set to be released by Black Acre, and it explores the politics of sexuality, identity and his intersectionality. A trio of subdued but striking electronic pop vignettes, the EP is led by wonderful new song 'I Think Of Being In Love'. Kate Bones handles the visuals, a clip that takes mutual inspiration from the renaissance sculpture of Michelangelo and the modern sculpture of Rodin. 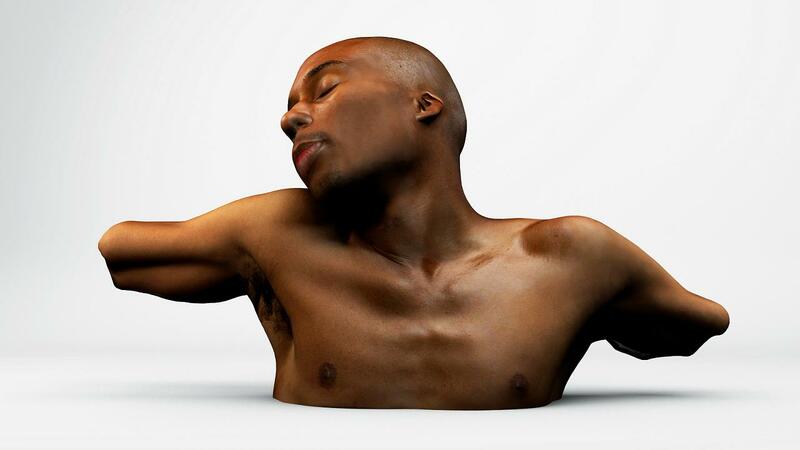 Breaking down these classic examples of the male form and re-building them with contemporary 3D digital software, it's a daring representation of black male beauty.